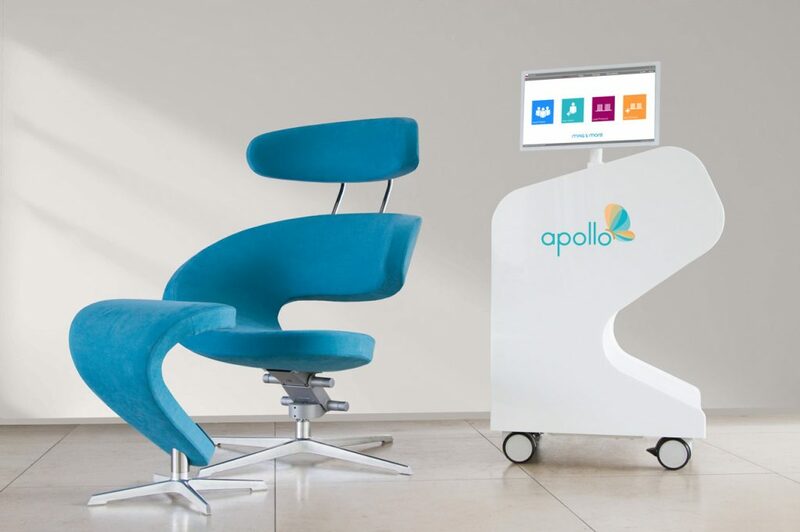 The Apollo TMS Therapy System is designed to make TMS therapy easy and intuitive to use for the operator and accomplishes this with its unique, high-quality design; the patented HANS positioning system; and touch based user interface which has several assistance systems on board. The design is set up to give the patient an inviting, modern feeling. 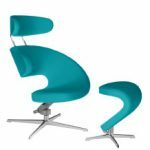 We can customize the chair and system color to fit your CI/university setup, offer full service packages so that you do not have to worry about any repair costs or down times, and there are no additional/hidden costs for disposables or maximum pulse counts etc. 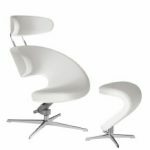 The HANS (Head-And-Neck-Support) positioning system ensures that you are reproducibly stimulating the correct treatment spot by following head movement. 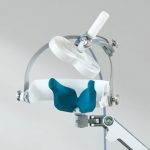 This also makes the treatment setup and session itself more comfortable for the patient, since he no longer needs to sit completely still during treatment as HANS compensates for smaller head position changes. The Apollo TMS Therapy System is available with an adjustable ergonomic chair, creating a pleasant and unique treatment atmosphere. This chair supports the patient’s back at different angles while the patient may comfortably rest with their feet up. Customize your treatment environment with the different colors of the Apollo TMS Therapy System™ Chair. All fabrics are cleanable with standard disinfection cleaning materials.